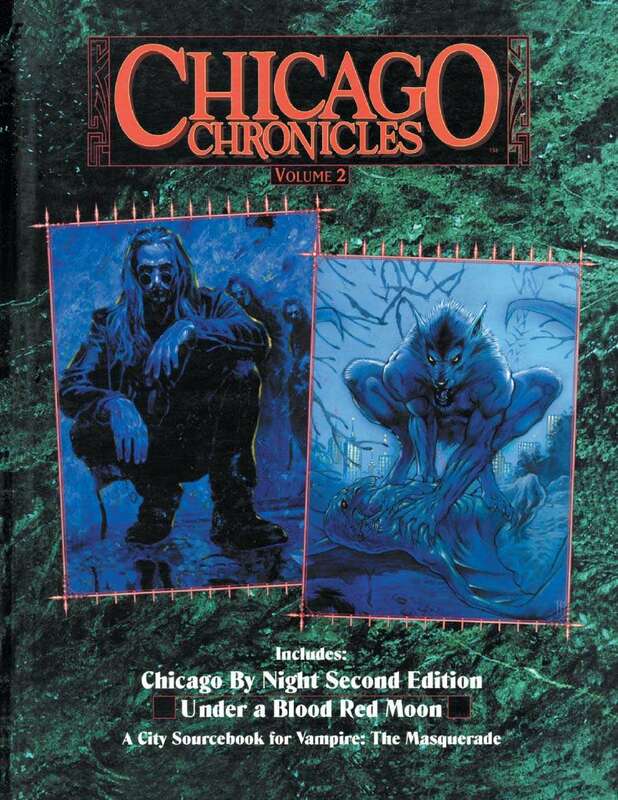 Chicago Chronicles Volume 2 is a compilation of two classic Vampire: The Masquerade sourcebooks: Chicago By Night Second Edition and Under A Blood Red Moon. Previously out of print and almost impossible to find, these books are now repackaged under a new cover. Volume 2 picks up where Volume 1 leaves off, continuing the tale of the War for Chicago, once fought among Kindred but now waged between Kindred and Garou.